ERP2Web Home - KLINGSPOR Abrasives, Inc. 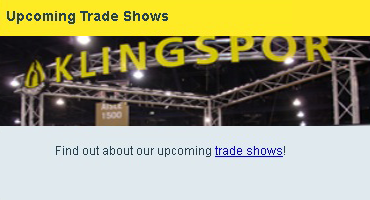 Welcome to buy.klingspor.com! Here you will find lots of valuable information that will save you time, as well as money, on all of your sandpaper needs. 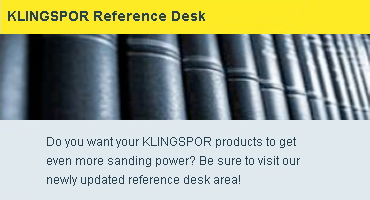 KLINGSPOR has been manufacturing abrasive technologies since 1893 and is a step ahead of other abrasive manufacturers with ISO 9001:2008 certification, outstanding technical assistance, knowledgeable and courteous personnel, and the fastest shipping in the industry. 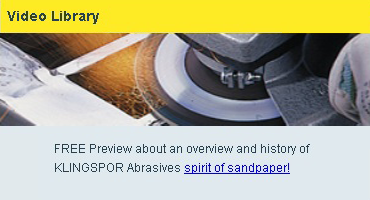 We sell more than just industrial sandpaper products, so please take a look around.